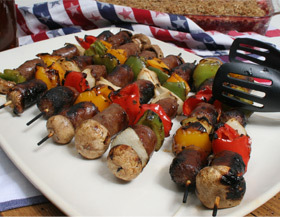 What’s 4th of July without a great summertime meal? 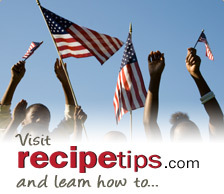 RecipeTips.com has everything from appetizers to desserts to satisfy every appetite. And, don’t forget to check out our “Tips & Advice” section for guidance on outdoor grilling, preparing a picnic, and so much more. A potato salad with flavors of the southwest. Yes, this ice cold fruit juice slush is ideal as a summertime thirst quencher, but it’s so good that you’ll want to serve it year round. An all American favorite to be enjoyed during the summer when fruit is at it's best.